Kellyanne Conway, the queen of Alternative Facts, claimed that our microwaves can turn into cameras and spy on us in response to a question on Donald Trump's unproven claim that Former President Obama wiretapped Trump Tower. No one expects evidence from Kellyanne anymore, but her claims are becoming more absurd by the day. Entertaining, but absurd. 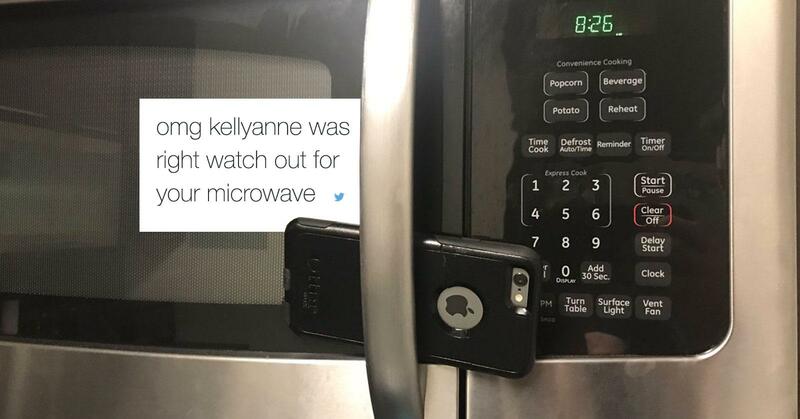 Kellyanne suggests surveillance can include microwaves. So when I reheated coffee this morning, was careful not to pass on intel to Russia. She ended up in the internet's crosshairs, yet again. I just pressed the Popcorn setting on my microwave and it showed me secret spy video of Kellyanne Conway eating lunch. She then went on CNN and told Chris Cuomo, "I'm not Inspector Gadget, I don't believe that people are using the microwave to spy on the Trump campaign." The internet was obligated to respond. With Kellyanne around, life has begun to imitate satire. We know this won't be the last faux pas from her. At least it's good television.